Admittedly, I think of Tony Lucca as some kind of musical King Midas. It seems like everything he touches is instant melodic gold, whether he's covering Jay Z's "99 Problems," Britney Spears' "Baby...One More Time" or simply belting out his own heart wrenchingly good tunes (which there are plenty of). In short, Tony is the real deal. So it's no surprise that TFDI, the music supergroup he's 1/3 of, is also some kind of gift from the harmonious heavens. TFDI consists of Lucca, Philadelphia's Matt Duke and Vermont's own Jay Nash, and this intimate show will be the best you see all year. Period. As I arrived to Hotel Cafe last night, there was a line snaking around the building waiting to get in. People compared predictions on song choices and how many times they had seen/met the band. These were fans, and the energy was high before the doors even opened. The set began a little after 8pm, and for the next two hours, TFDI gave the kind of performance you may only ever witness once or twice, if you're lucky. 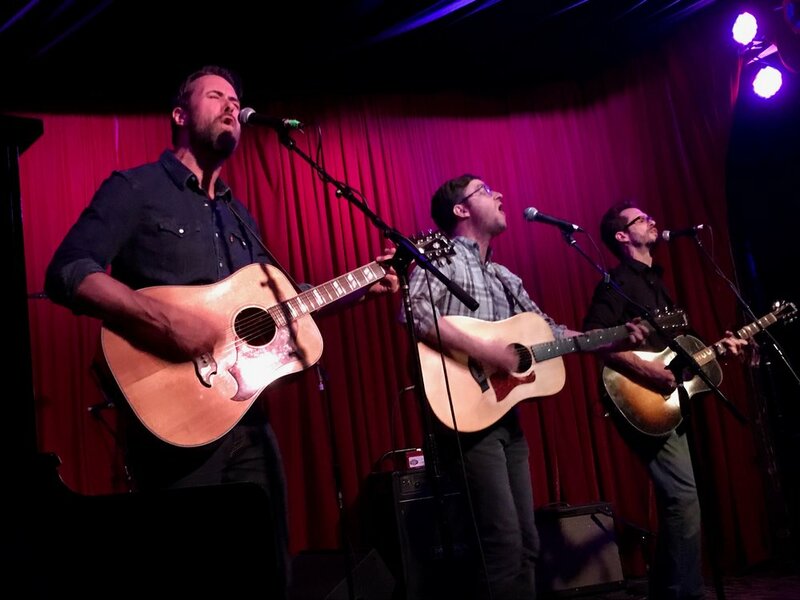 Their harmonies are absolutely chilling, and the new album Beggars and Ballers shows off their superior songwriting skills. They seem completely connected and committed to the new material, making it a particularly special time to catch the live show. The boys joked about the "morose" theme throughout the night, with an album that was written during and post-election, but the overall feeling I was left with was hope. TFDI drew a full house to the Hotel Cafe, indicating that people still care about lyrics and true vocal talent. Don't miss this tour, if you get the chance. Check out the remaining dates here.